Using a landscape architect may provide extra value when selling your home. Selling your home in today’s market means move-in ready. It also means that the home must be as visually appealing as possible. With the importance of great curb appeal, you may need to consider hiring a landscape architect, particularly if your home is located in a high end or luxury community. 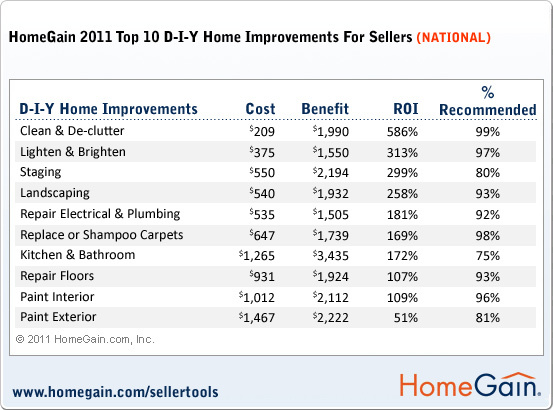 In the 2011 HomeGain Survey that lists top 10 DIY improvements, landscaping was number four, with an average return of 258%. In order to compete and succeed in today’s buyer’s real estate market, it is important to address all possible improvements that gain more than 100% return on investment. A home staging professional can help you identify exactly which improvements are most important in your own home.